Begin this timeless Europe river cruise vacation in vibrant Budapest, Hungary, sail along the Danube River with exciting stops in Austria and Germany, and conclude in historical Nuremberg, Germany. 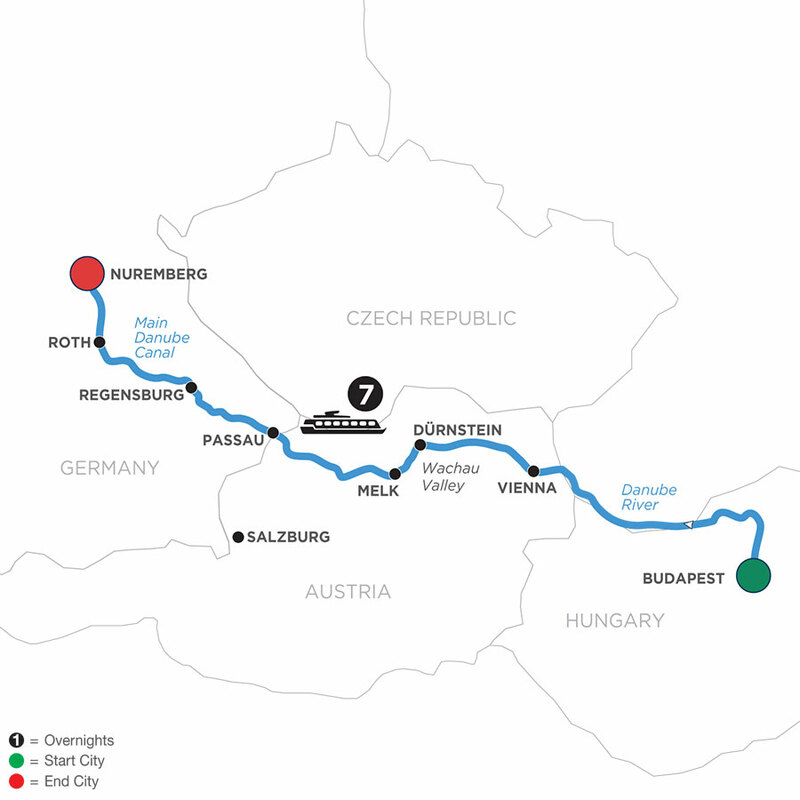 As you leave Budapest, you’ll sail past the splendid Parliament Building, and along Danube River, you’ll have Hungary on your left and Slovakia on your right as the river runs between both countries for a 58-mile stretch. Enjoy an amazing view of the landscapes of Bratislava while sailing. 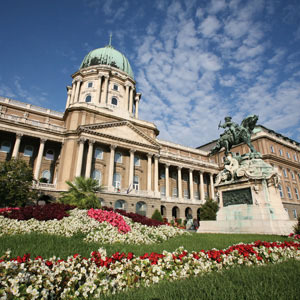 Vienna, Austria, offers stunning St. Stephen’s Cathedral, the Habsburg Palace, the Vienna Opera House, and much more. In the heart of the Wachau wine region is Dürnstein, a 16th-century town with charming cobblestone streets and the baroque Stiftskirche with its luminous blue façade. In Melk, visit Austria’s majestic Benedictine Abbey, one of Europe’s largest monasteries, and enjoy a tasting of some of the Wachau Valley’s famous wines. You’ll love a guided walk through Passau, with its narrow streets, beautiful Patrician houses, and baroque architecture. Sail further up the Danube River, and you’ll come to the medieval walls of Regensburg, the only German city not bombed during WWII. Here, we’ll introduce you to some of Germany’s famous beers! The last stop on this memorable river cruise vacation is the thousand-year-old city of Nuremberg. During guided sightseeing, marvel at the medieval fortifications, extraordinary gothic churches, and the Imperial Castle. And in your free time, be sure to make a wish at the striking fountain on the Hauptmarkt (Main Square)-a perfect ending to a memorable river cruise vacation! The intimate setting of the Avalon Tranquility II features two full decks of Panorama Suites with Wall-to-Wall Panoramic Windows that transform the living space into a unique Open-Air Balcony®. With 200 square feet, Panorama Suites are more than 30% larger than the industry standard-perfect for stretching out and relaxing-or even throwing a private cocktail party for up to six adults in the spacious sitting area. Onboard amenities and services include a complimentary Internet Corner and free Wi-Fi access, a Fitness Center with state-of-the-art equipment, a hair salon, elevator, and a spacious Sky Deck with shade system, whirlpool, deck games, and the delightful Sky Bistro for al-fresco lunches of light grill fare.